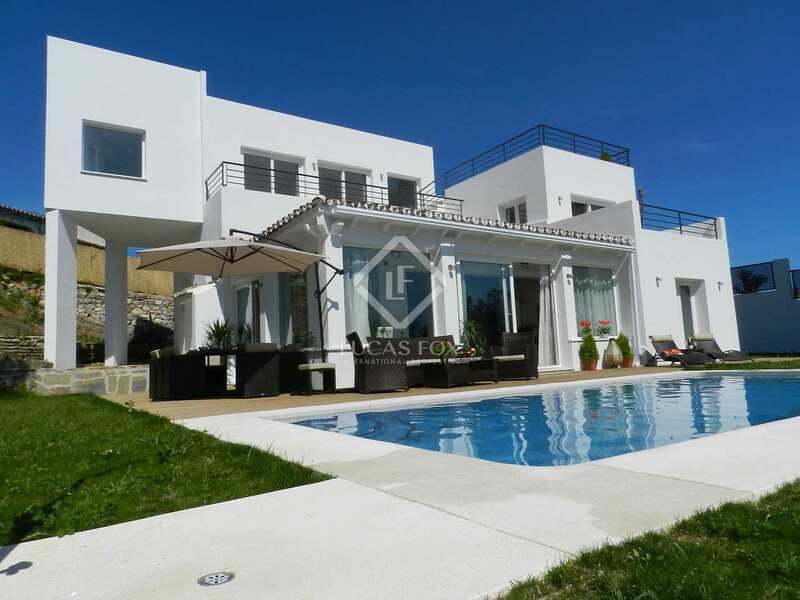 Contemporary Style, Luxury 5 Bed Villa for sale, El Rosario, East Marbella. 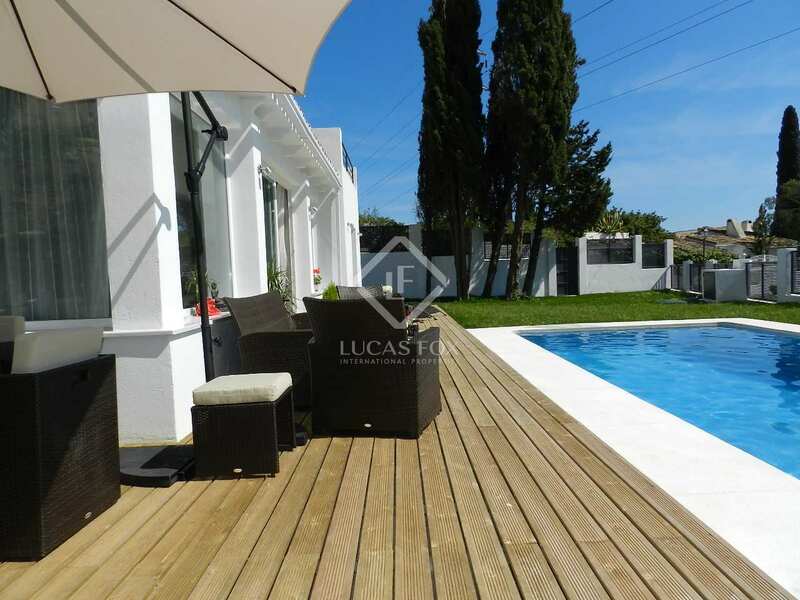 Stylish and Contemporary 5 bed Villa in an elevated position of El Rosario, East Marbella. 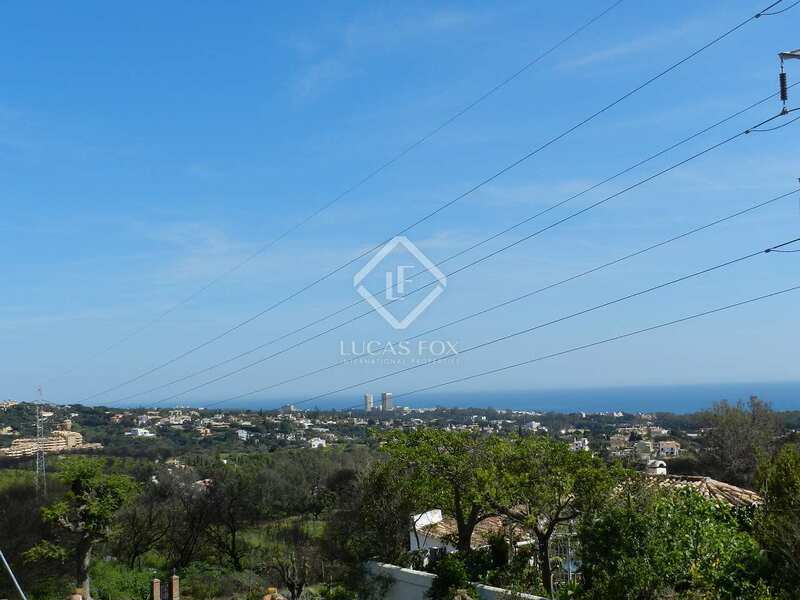 With a 350m2 build on a 1296m2 plot with stunning panoramic sea & mountain views. 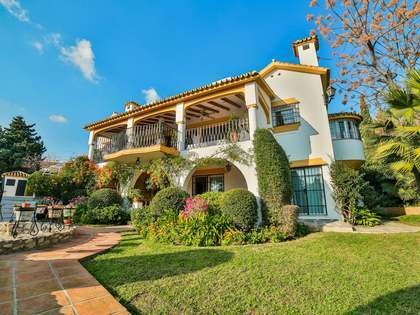 This is a very stylish Villa in a highly sought after area of East Marbella. 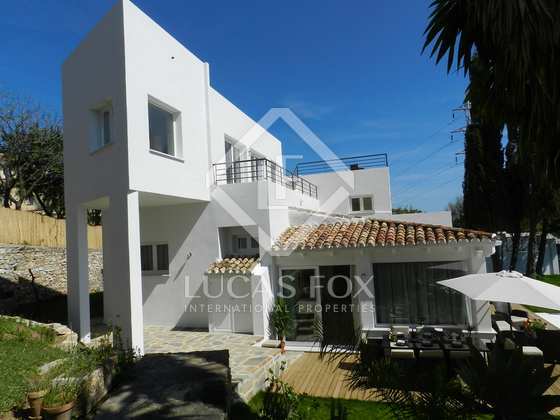 A contemporary design with great attention to detail, 5 bedrooms, an open plan lounge, fully fitted kitchen and large garden. Fantastic views from various terraces. Stylish 5 Bed Contemporary Villa for sale in East Marbella. The layout is one of the many unique things about this property. 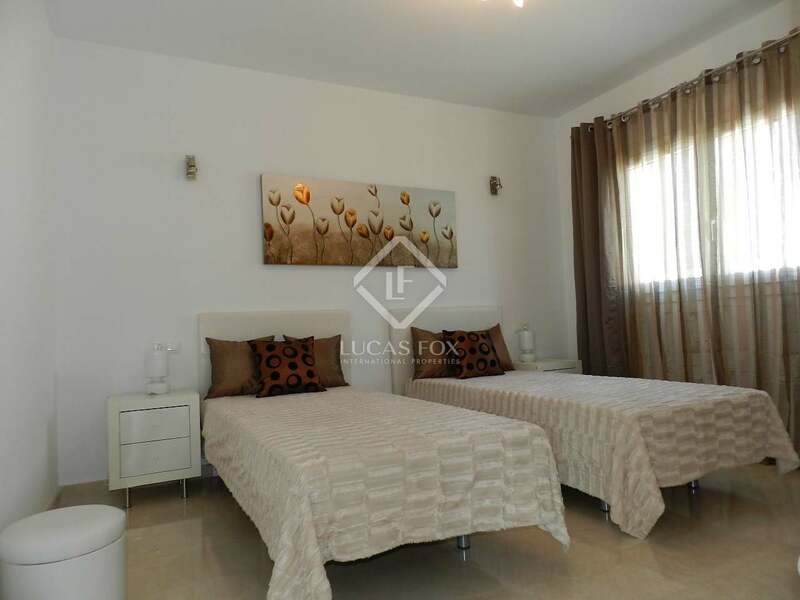 Upon entering the Villa you find the first ensuite bedroom on the right hand side. Coming down a few steps you enter the spacious open plan lounge / dining area with the kitchen to the right with an original sloping beamed ceiling . 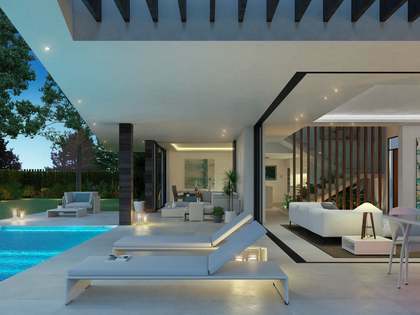 Various sliding doors / windows allow you access to the teak decked terrace, gardens and swimming pool. The garden around the pool is flat, but to the side of the house it is tiered, rising to the same level as the first floor. 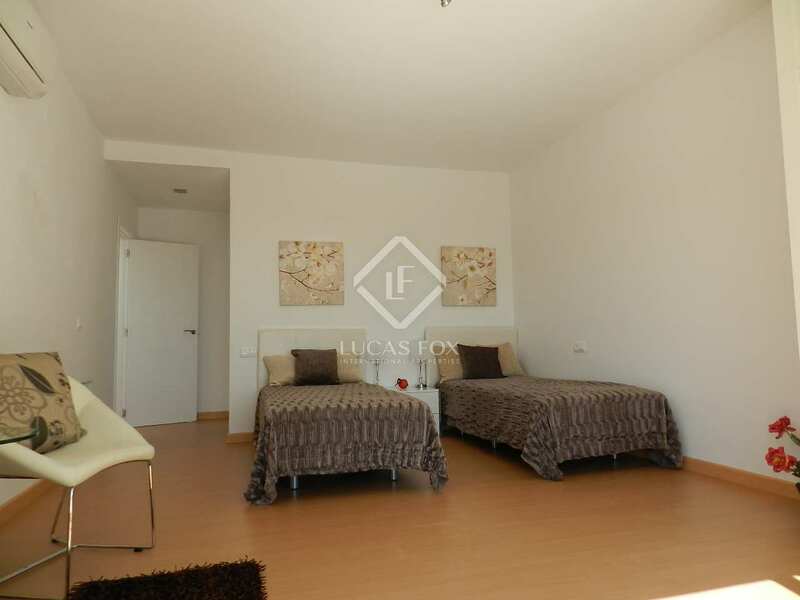 To the left are two stylish bedrooms sharing a bathroom. Back to the entrance a staircase to the left leads you to a large, wooden floored and luminous bedroom, ensuite with a private south facing terrace. 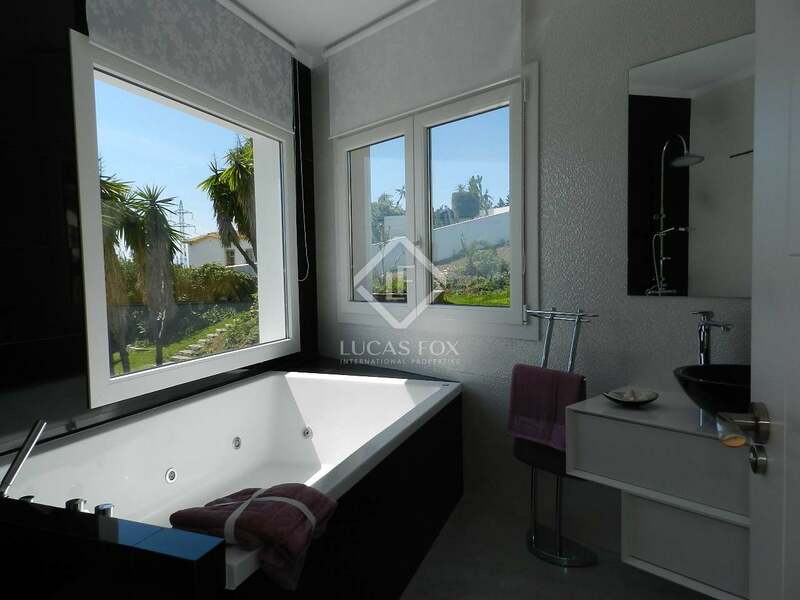 Further stairs take you to the spacious Master bedroom and ensuite bathroom with a jacuzzi bath and walk in shower. 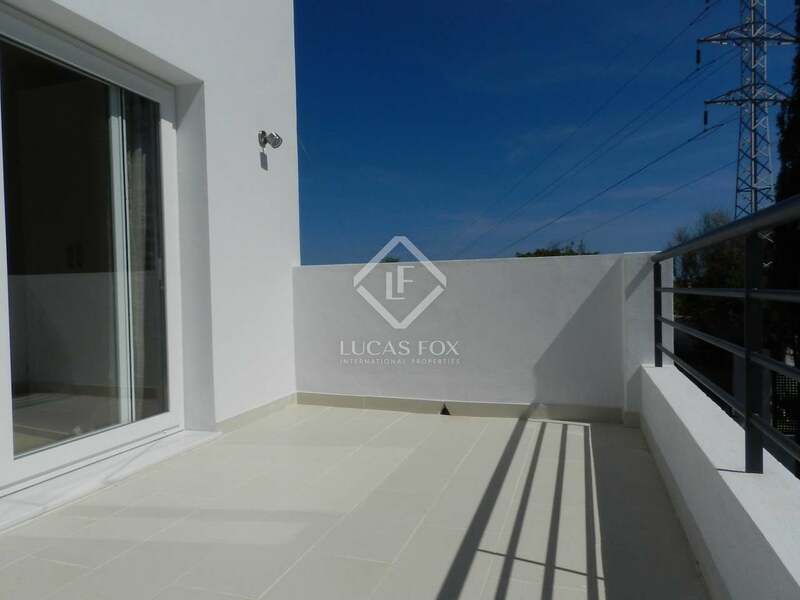 Floor to ceiling windows offer access to a private balcony overlooking the gardens, to the left up a half a dozen stairs is a private solarium offering stunning panoramic views as far a field as Gibraltar and North Africa. 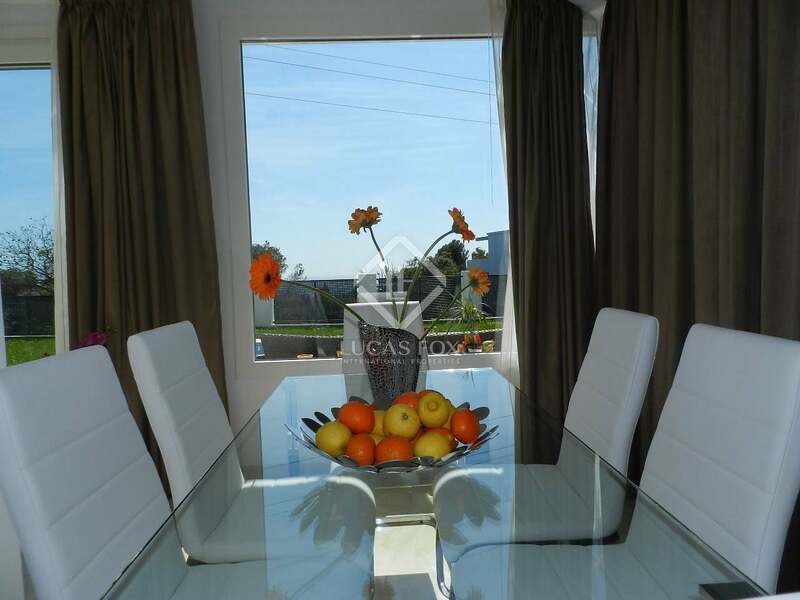 This modern property has a large open plan lounge, dining area and kitchen with an original sloping beamed ceiling and three of the five bedrooms are on the ground floor. 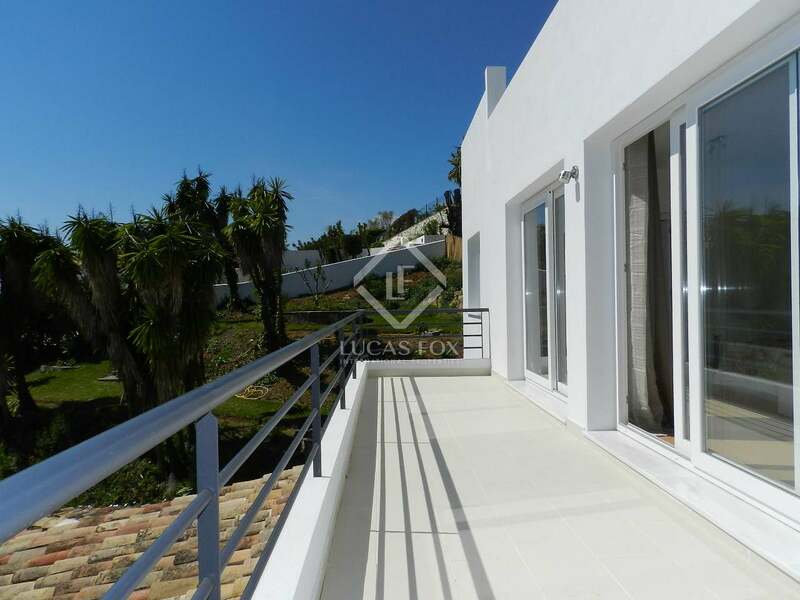 The first floor has a large bedroom with wood flooring, ensuite bathroom and a private terrace with magnificent sea views. 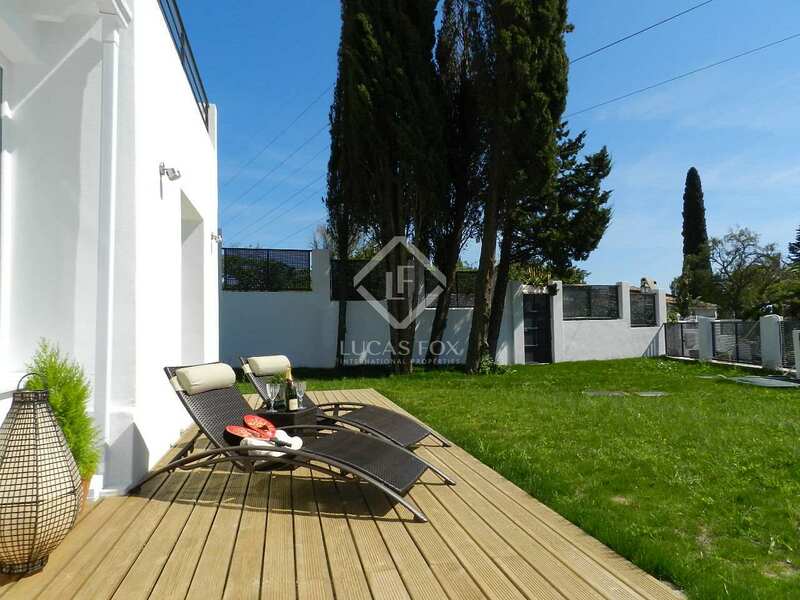 The second floor has an even more spacious Master Bedroom with wood flooring, an ensuite bathroom with a jacuzzi bath and walk in shower, A private balcony and stairs leading to a fantastic solarium. 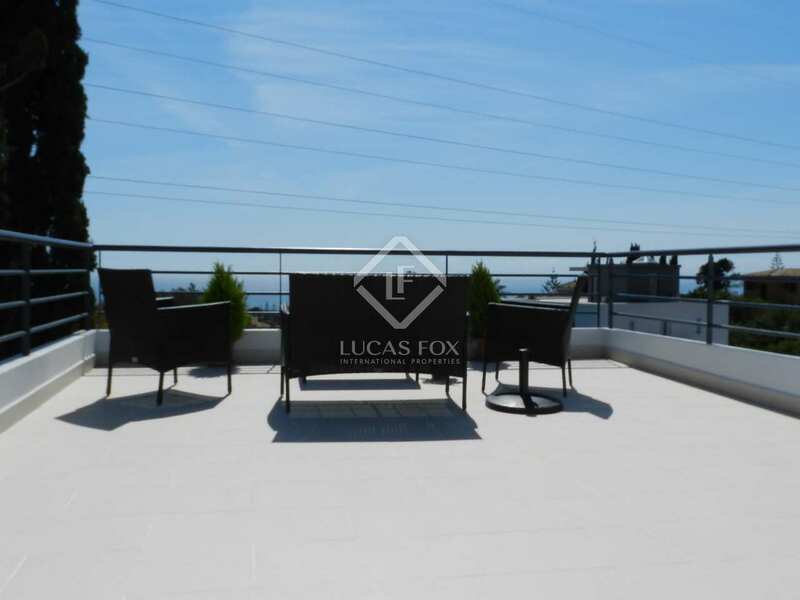 with stunning panoramic views as far a field as Gibraltar and North Africa. 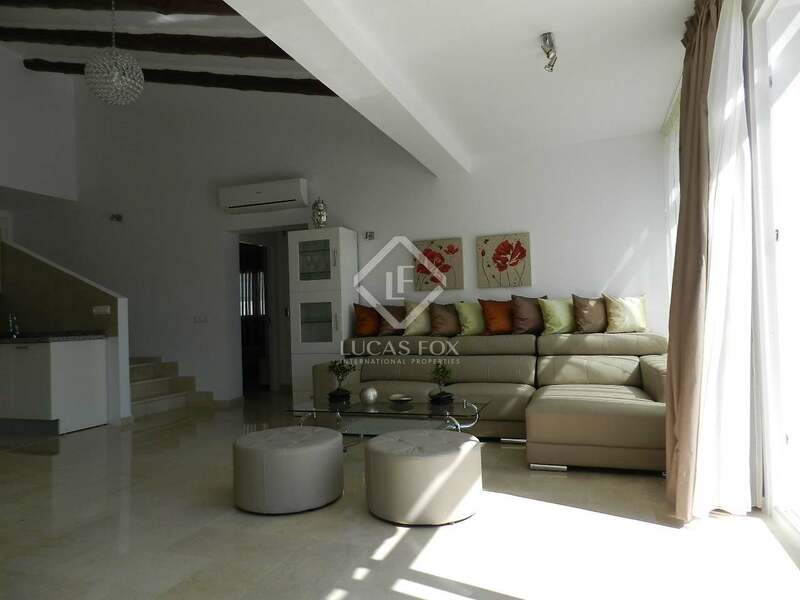 There is also a garage for 1 car, a gated drive for additional cars and a separate laundry room. 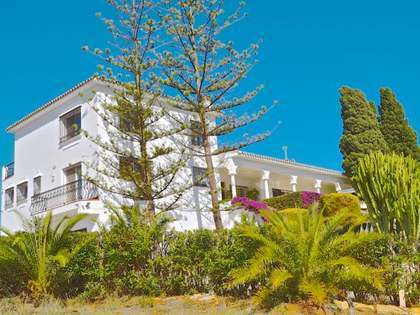 This is a fantastic opportunity to purchase a high concept property in an area close to schools, shops, tennis clubs, gyms, golf courses and some of the finest stretches of beach in Marbella. 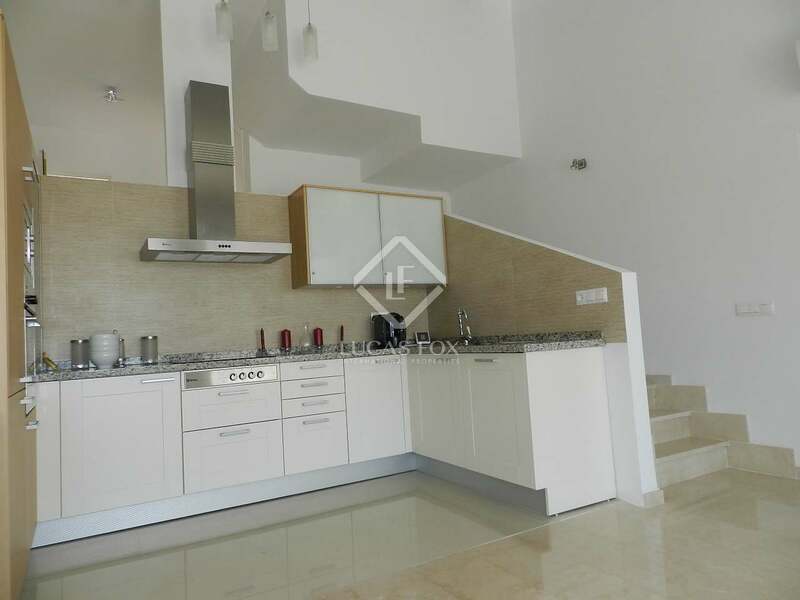 Ground floor consists of an open plan lounge, dining area & kitchen. 3 bedrooms and access to the garden and swimming pool. 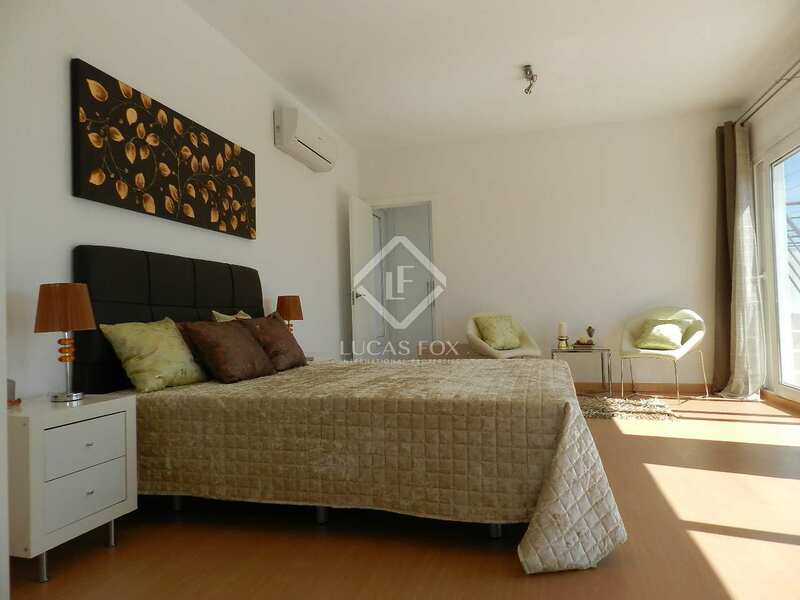 The first floor has 2 bedrooms, both ensuite and with private terraces. 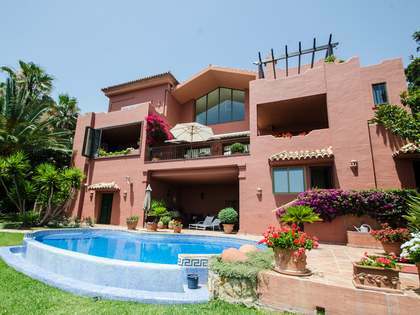 and 10 minutes from the luxury yachts and designer shops of Puerto Banus. At the entrance to the urbanisation are private tennis courts, a gymnasium, supermarkets, restaurants and cafes. 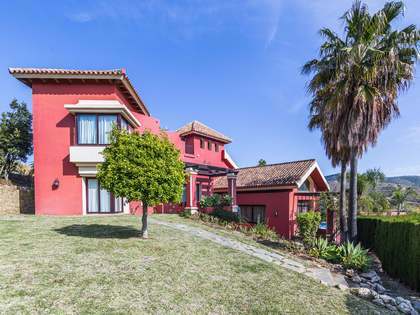 El Rosario is also conveniently situated for both Spanish and international schools, numerous golf courses and one of the finest stretches of natural beach on the coast.